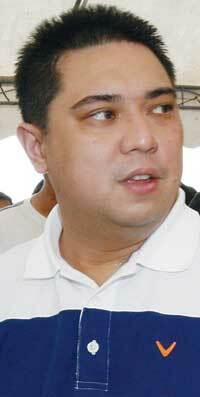 Mikey Arroyo: Comelec can’t disqualify me! Pampanga Rep. Juan Miguel Arroyo, party-list nominee of security guard group Ang Galing Pinoy (AGP), hit back today at attempts to have him disqualified for not actually being part of a marginalized sector. Instead of defending AGP as a legitimate sectoral group, or arguing that even douche bag politicians can be marginalized, he plans to nip the issue at the bud by questioning whether the Commission on Elections can disqualify him at all. "They're not the boss of me..."
Unfortunately, we were not able to get a direct quote of how Rep. Arroyo figures that the constitutional body that governs elections in the country does not have the power to revoke his candidacy. Still and all, today marks the day that we topped our 2010 quota on our gross national what-the-fuckery. Mikey Arroyo: a Pinoy Guido.